More than 200 bird species have been identified here, including Wood Stork, Wilson’s Snipe, Virginia Rail, Limpkin, Purple Gallinule, Sandhill Crane, Osprey and Sedge Wren. Mississippi Kite is common in summer, as are Loggerhead Shrike, Pileated Woodpecker and Eastern Bluebird all year long. From the elevated, 10-foot wide earthen berm, scope the large holding pond and check the surrounding mixed forest, which hosts migratory songbird species, including Orange-crowned Warbler, Kentucky Warbler and Painted Bunting. Winter ducks including Northern Shoveler, Gadwall and American Wigeon have been recorded. Wading birds such as Green Heron, Tricolored Heron and Glossy Ibis may be present and Black-bellied Whistling-Ducks can be found year-round. Look for shorebirds such as Dunlin, Long-billed Dowitcher and Stilt Sandpiper during spring and fall migration. Rarities recorded at this site include White-faced Ibis, Vermilion Flycatcher, Nashville Warbler, and Wilson’s Warbler. 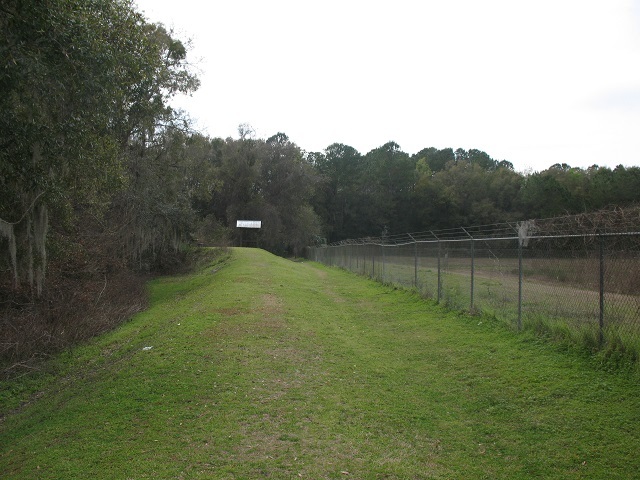 Walking and biking trails connect to the adjacent Kanapaha Park to the west.